The Counter-Terrorism Department (CTD) of Sindh Police claimed on Thursday that they had arrested a high-profile terrorist and foiled a major terror bid in the port city. The suspected terrorist, Mohammad Ishaque aka Gul, was arrested by CTD and two suicide jackets were recovered from his possession. 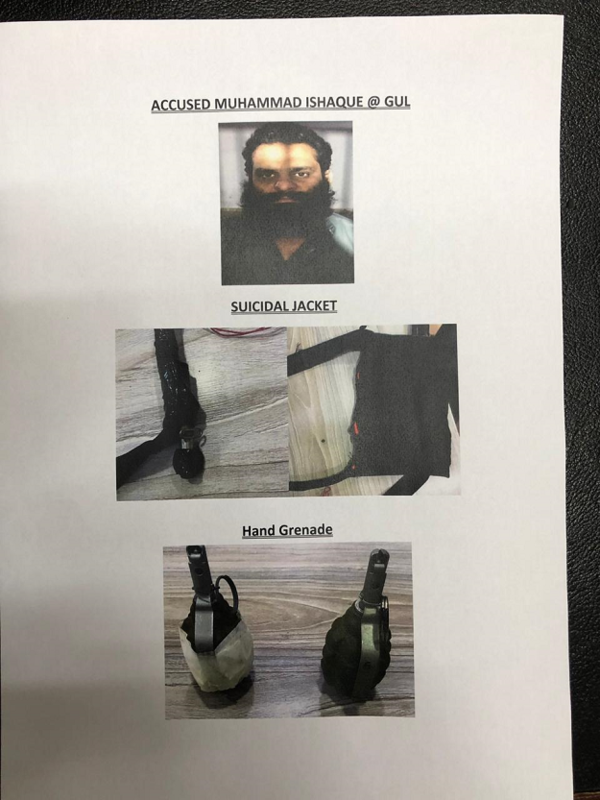 Two hand grenades were also recovered during the operation. CTD Incharge Raja Umer Khattab claimed that the suspect reached Karachi from Afghanistan via Balochistan and Sindh. “He was in Karachi for terrorist activity, and was a neighbour of Lashkar-e-Jhangvi leader Ameer Ataullah Rehman aka Naeem,” Khattab claimed. A First Information Reports (FIR) was filed against the suspected terrorist on charges of murder, kidnapping for ransom and robbery. Ishaque, after reportedly escaping from a police encounter in 2008, went into hiding in Afghanistan. Several accomplices of the arrested terrorist have been killed while several remain under arrest.